. We are in the middle of remodeling our Master bathroom and the house is a bit scattered. Last year we decorated the entire house and yards for Halloween, this year we are going low -key due to the chaos. But we simply had to add a few simple natural touches to recognize the season and the holidays that include Halloween and Thanksgiving! Our simple fall decoration using candies has been a real hit! Even the busiest of moms and families can make this super simple Fall decoration that is pretty yet edible! 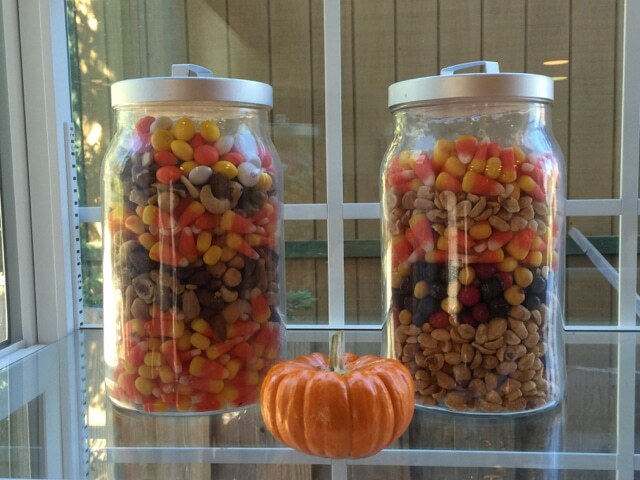 Using Candy corns, Chocolate Candies, Chocolate chips and nuts these glass jars give the warmth of fall and can be divided up into little baggies as a lunchtime treat! We are in the middle of remodeling our Master bathroom and the house is a bit scattered. Last year we decorated the entire house and yards for Halloween, this year we are going low -key due to the chaos. But we simply had to add a few simple natural touches to recognize the season and the holidays that include Halloween and Thanksgiving! Our simple fall decoration using candies has been a real hit! 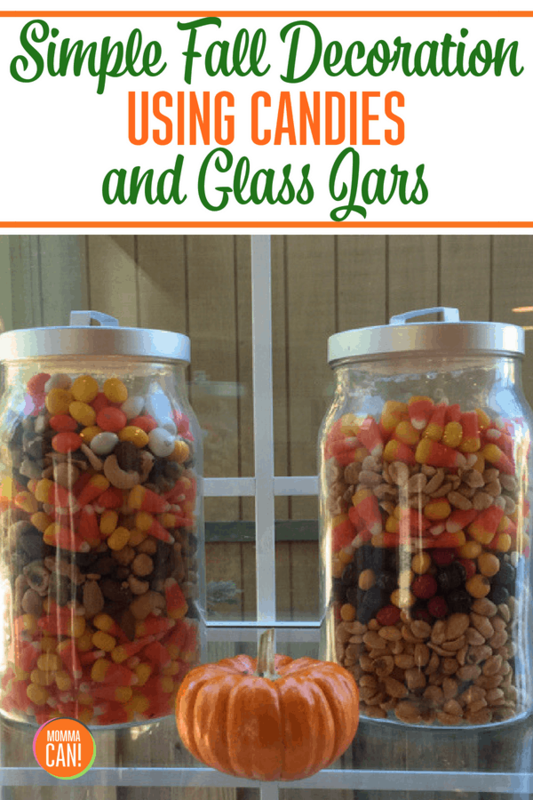 These glass jars are layered like the colorful sand jars from our youth, but we are using candies added whimsy of traditional candy corns. Just add a layer of nuts or chocolate chips, then add a layer of candy corns taking turn ad tilting the jar a bit for added interest in the layers. Here is a simple list of items needed. Large glass jars with tops. We found them at IKEA and I use them for everything. You can use large mason jars or apothecary jars. Large bags of peanuts or mixed nuts. Fall Colored M &Ms that taste like candy corns… I did not care for the flavor but they are fun to look at. Chocolate chips – the larger the better for added depth. Take this jar of goodies and eat it at a party! Mix it up at the end and put it in baggies yummy trail mix. 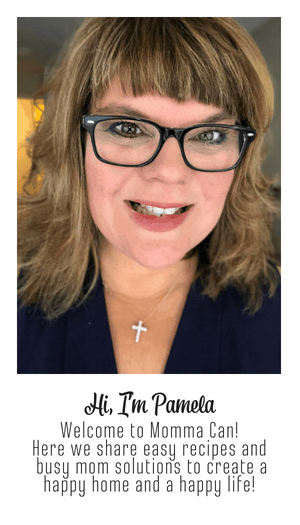 Need more ideas for Fall? Check out our Fall Decor at the Dollar Store table!